Kurmitola General Hospital with 500 beds has started its services on May 13, 2012. It was inaugurate by Sheikh Hasina, the Honorable Prime Minister of Bangladesh with the view of ensuring proper health care for the neglected poor people of North-Dhaka. The construction of 12-storey building’s first phase was completed on FY 2012-2013. Its second phase is completed recently. First time, it was started with very limited services, but currently it’s the hospital is running with almost all kinds of services in the affordable costs. The available resources of the hospital are outdoor, indoor, surgery, radiology and pathology etc. This is the single Green Hospital in the country and it was proved from the very beginning of its service. Moreover, here is the only center of the MRCS examination in the country sponsors the Royal College of Surgeons (RCS), partner of the International Health Organization (IRH) and Airport Health Surveillance Team for ‘Ebola’ ward. This is the only treatment center of Ebola in Bangladesh. The construction work of the Kurmitola General Hospital was started on 2004 and finished on 2011. Its outdoor services start in November 12, 2012 and indoor patient service was started in June 16, 2013. The main aims of the hospital are to provide improved medical treatment for all people of the country, including life saving, emergency treatment and traffic accident victims. It also trains the internee doctors and the cadets of AFMC and AFMI. It works like the training hospital of AFMC (Arm Forces Medical College). The Management Information System (MIS), Directorate General of Health Services (DGHS) of the Ministry of Health & Family Planning Welfare (MOHFW) support the hospital. There are outdoor, indoor, surgery, radiology and pathology etc. services in the hospital. The outdoor services are including pediatrics, medicine, surgery, skin & VD, ENT, ophthalmology, emergency, obstetrics & gynecology, M.R clinic & F.P counseling, ORT corner, dentistry, EPI, neuro surgery, burn & plastic surgery and much more. The indoor services are including medicine, neonatal, nephrology, cardiology, ophthalmology, general surgery, obs & gynecology, urology, cabins, paying ward, ICU, burn & plastic surgery etc. The hospital is established with the aim of improved health care for the low income people of the country. 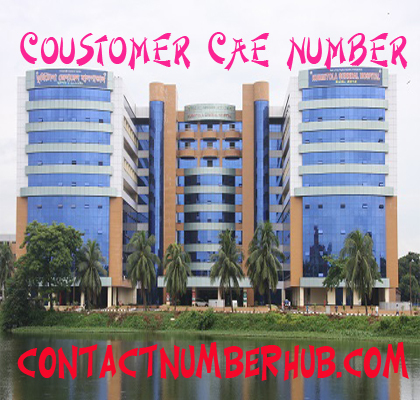 As a result, the costs of the diagnostic services are lower than any other hospital in the Dhaka city. For example, it charges HDL 100.00, Albumin 100.00, ALT 70.00, Lipid Profile 300.00, Creatinine 50.00, Glucose 60.00 Bilirubin 60.00, FT3 and FT4 250.00, USG lower Abdomen 110.00, USG whole Abdomen 220.00 etc. It’s really a great opportunity for the lower income individuals of Dhaka and the whole Bangladesh to get an affordable priced improved treatment.